I forgot how the first 3 or 4 months home bring out your basic survival skills. 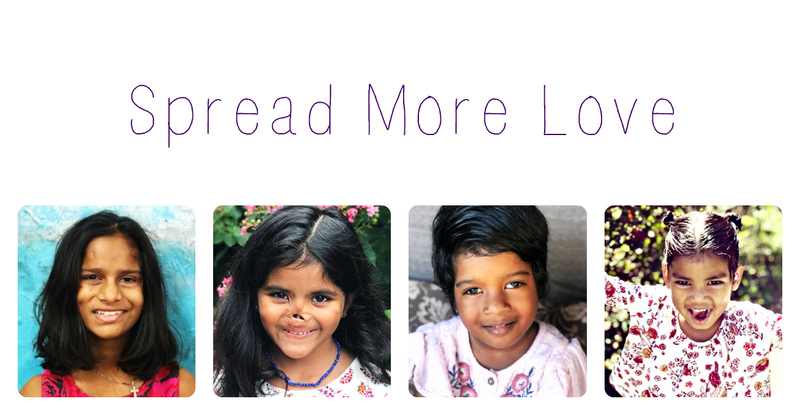 From the moment we landed in India until about 2 weeks ago, it's been a complete whirlwind. We really haven't had the down time that I had with Munni when she came home, which is why I am looking forward to summer like never before. To not have a schedule, to not have to be anywhere at regimented times, to not have to pack lunches, to not have to race home from my mom's Sunday dinner so the kids can get to bed at a decent hour, to not have to worry if the uniforms have been washed, to not deal with homework, to not have to rush, rush, rush. I am longing for summer so we can just be. Our week in L.A. for the The Doctors has probably been the best time for us since we've been home. It afforded us the opportunity to cocoon as a family, post Roopa's grieving, without the stresses of everyday life. I didn't have to clean, do wash, or cook. It was fabulous because we were able to just be together- living, laughing, and making positive family memories. The bonding that occurred during that time was crucial for our family. I am so, so, so very thankful for that week! When we were in India and Roopa was experiencing intense grief, I was worried how it would affect her. We didn't get to see any of her personality in India. However, once she got home, she started letting us in and her adorable personality came shining through the fog! She literally is a dream come true. I'm not kidding when I say she is ALWAYS happy. She has never had a temper tantrum. I know, it's crazy. It's like she's not a real toddler. She wakes up with a smile on her face and tells me, "Mommy, Roopa happy!" I also love that she feels confident enough to tell us what she likes and doesn't like and what she does and doesn't want to do. It's clear she feels secure enough in our family to share. But literally, she is smiling and laughing all the time. She is definitely living up to her middle name "Joy!" So while living with Roopa is a dream come true, her actual presence in our home has triggered emotional napalm. Ever since Munni had started disclosing information about her past, I admittedly have not done a great job of processing it. Instead, I've compartmentalized it. I don't even know how to start confronting and dealing with it because I honestly feel like I will come undone. When Munni entered the orphanage, she was a few months younger than Roopa. 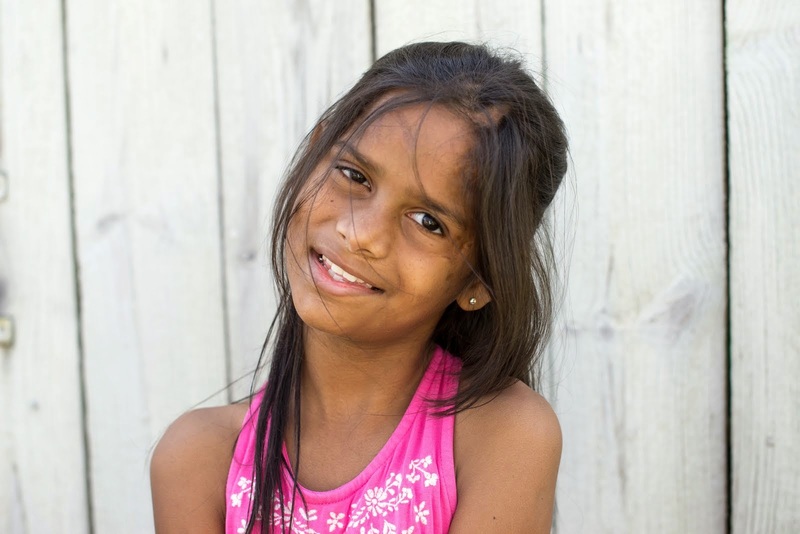 Munni's memories of her life pre-orphanage are alarming. 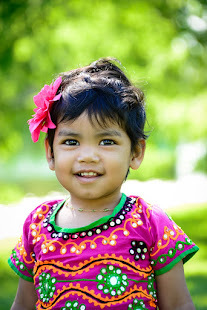 So to see Roopa, this little person in front of me every day, sleeping in my bed every night, and then thinking about all that Munni has confided in me, and thinking about her being so small and remembering too much it's, well, I don't even have words to describe my emotions. The first 3 months home were emotionally jarring. Munni is an observer and extremely introspective. Roopa's age and seeing Roopa with me, with her, in a family, receiving love that every 3 year old should receive, has not gone unnoticed by Munni. She saw what her life should have been. She saw the incredible loss. She sees the injustice of it all. She has been grieving what can't be undone. She regressed. She wanted me to help dress her - as in, she would lay there and not participate and I had to dress her like a baby. She still wants me to hold her all the time. She wants me to feed her. She wants to redo what should have been done in the first place. One day after school she was changing out of her uniform. I caught a glimpse of her and my heart sank. She had worn one of Roopa's pull ups to school. I wanted to cry. I know based on ALL THE INFORMATION you receive when you are going through your pre-adoption training, that for some children, it is critical for them to be able to revisit points in their history where proper love and attachment didn't occur. And when you read all of that pre-kid, you nod your head naively, vowing to do whatever you can for your child. But in real life when it slaps you in the face, you look around and find your heart in a million little pieces on the floor and wonder how in the world will you ever be able to help this sweet child find a place of healing. It has crushed my spirit. I read and pray and plead and beg. I doubt. I fear. I remember once when I was praying for Munni before she came home and God spoke clearly to me through the book of Joel. I was lamenting what I knew of her past and he spoke to me through his promise, "I will give back what you lost in the years the swarms of locusts ate your crops" (Joel 2:25). I clung to that verse and his promise of restoration. I believed that he would restore the "locust" years of her childhood. He has to. But now that those years have resurfaced, I find myself losing my grip on his promise. I feel the waves washing over me and I can barely breathe. Because dealing with all of this isn't stressful enough, we also had some issues at her school with some mean girls and a teacher. I did try to handle it the diplomatic way. At first. But then these emotional land mines started going off and I lost it. Not my finest parenting moments, but I don't even care. I am thoroughly convinced that William Congreve got it wrong when he wrote, "Hell hath no fury like a woman scorned." What he should have written to be correct is, "Hell hath no fury like a desperate mother protecting her child." Feeling so out of control over what happened to her in the past, I HAD to take control of this. I had to make sure that these people wouldn't continue to hurt her. I had to make sure that Munni knows that her mom will fight for her tooth and nail and will stand up for her to anyone, anywhere. Before she came home, no one stood up for her. No one fought to protect her. No one stopped the pain. Munni witnessed her mom turn into a pit bull, fighting with righteous anger to make sure the situation was resolved to her best interest. It ended up being a positive factor in Munni's healing process. It was a turning point. I started doing a ton of research and talked to several different counselors. I now know that I am struggling with PTSD. It was a relief to finally have some validation for everything that I had been experiencing. Unfortunately, it is a topic that is not discussed in pre-adoptive education. Nothing, and I mean nothing, can ever prepare you for the moment your child feels safe and secure enough in your relationship to open the pandora's box that has been hiding all of the traumatic events of abuse and torture that happened to them. Prior to that moment, you've had vague information and presumptions. When the truth is finally revealed, it feels as if all of the oxygen was sucked out of the room. Part of my problem was wrong perspective. I kept putting this enormous pressure on myself that she will be completely healed in X amount of time. You know, all the pieces coming together and wrapped up nicely with the perfect ending like some sitcom. But that's not real life. And that's not what our journey to healing is. Instead, it is a long walk in the same direction, hand in hand with Jesus. There will be times when the tides are high and we are struggling to keep our heads above the water - like this past spring. And there will be times where the tides are low - as we enter into summer. I've spent hours and hours in prayer for her. I know Jesus is faithful. I know he loves her more than I ever will. One morning while I was having my prayer time, I looked out onto my garden in full bloom. Looking at the roses that took a beating from last winter, I thought about how my garden has shifted and changed over the 10 years since I started it. And isn't that the same with us? We go through some glorious seasons where we bloom profusely and our lives are fragrant with joy and contentment. But then, there are seasons where too many weeds have popped up and our previous glorious blooms are shriveled and need to be dead headed. But it is a cycle. We have the winter of our lives where things may seem dead and hopeless. Thankfully, that season isn't permanent. It is followed by spring - full of new life and promise. God spoke to me that morning through my garden. I realized that as Munni goes through life, there will be seasons where her past may stop her in her tracks. However, there will always be a spring to follow. A season of new hope and new promise. God clearly declares to us in Jeremiah 29:11, "For I know the plans I have for you," says the Lord. "They are plans for good and not for disaster, to give you a future and a hope." Being home with Munni for two years now and seeing the transformation in her DESPITE still having some shackles to her past, I have no doubts whatsoever that God has a wonderful future in store for her. When we were on the set of The Doctors, I was anticipating some sort of assistance for Roopa and her nose. However, when they also shared that they were providing plastic surgery for Munni's scars, I was completely blindsided. The lump in my throat was so enormous that I could hardly even breathe. My heart was beating a million beats a minute. I love Munni with all of my heart and I think she is absolutely gorgeous just the way she is. But the fact that her memory is tied to each and every scar and to know that there is a promise to "erase" these visible memories, is a priceless gift for which I will be eternally grateful. I was completely stunned. I still can't believe it! Munni is THRILLED and can't wait for this to happen. When The Doctors first contacted me, they only wanted to bring Roopa and me out for show. I explained that we were a package deal. I shared how the only reason I have Roopa, is because of Munni. Their stories are intricately entwined. When I finished telling the whole story, the intake person told me it was such a beautiful story and they completely understood what I meant. I am astounded when I see it come full circle. If not for Munni's scars and trauma, Roopa would not have been referred to me. 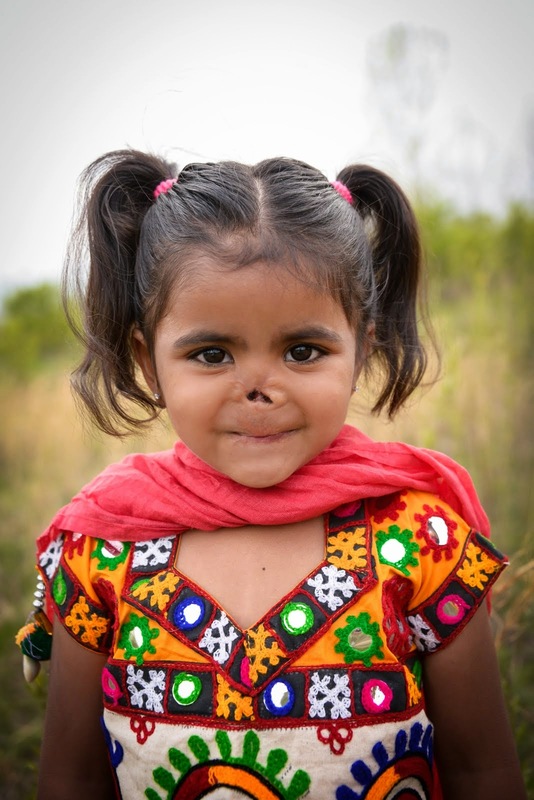 If not for Roopa's nose, Munni would not be receiving this healing gift. My insurance flat out denied plastic surgery for her. 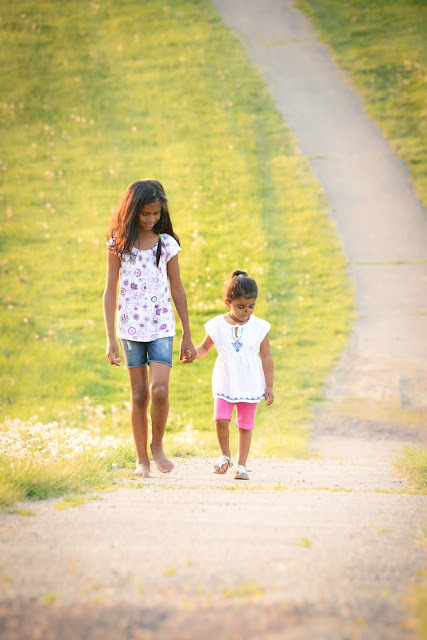 So when I look at my beautiful daughters and I get the opportunity to share their stories, I can tell you with full confidence that God's word is true when it says, "And we know that God causes everything to work together for the good of those who love God and are called according to his purpose for them." - Romans 8:28 Others intended harm for my girls. God is bigger. He has redeemed them and given them a new life. He has touched so many hearts through their stories. He has changed so many lives. I am one of them. So while we continue on this path of healing, I am encouraged that we are stepping into the season of summer. We are breathing in deeply the refreshing air of his healing. We are stopping to smell the fragrance of his love for us. We are basking in the joy of his light that fills our days and warms our skin. And we are enjoying each day because we know at some point in the future, the tides will roll in again. When that happens, we will cling to each other and we will keep our eyes our Jesus, knowing that he will keep us afloat. Thank you for sharing about real life, Kristen! It has comforted me today. Even though I'm not an adoptive mama, I definitely relate with several pieces of what you shared. Hopefully any prospective adoptive parents who read this will have a deeper understanding of what's to come down their path, or any parents who are IN THE TRENCHES, will take comfort in knowing that it's not just them. It does feel crazy sometimes to know how painful and beautiful parenting can be, ALL AT ONCE. "...I am thoroughly convinced that William Congreve got it wrong when he wrote, "Hell hath no fury like a woman scorned." What he should have written to be correct is, "Hell hath no fury like a desperate mother protecting her child." It just couldn't be more true. You're a teacher, I also work in education. Sometimes I feel like a traitor when I'm dealing my son's teachers, but when he needs to be protected, my inner Mama Bear comes out louder than any other part of me. I'm relieved to know you also struggled with a teacher, went to bat for Munni, and did not care that she/he is a fellow teacher. A mom's gotta do, what a mom's gotta do. A former psychologist told my husband and I that we had been parenting in crisis mode, which is different than our normal parenting mode. Just that little bit of framing the situation and giving it a name has given me a huge perspective on our situation. It's funny how a few words from someone else can make a big difference in how we see our own daily lives. It sounded like that was similar to you learning about your PTSD. And in turn, your words might be what someone else needs to hear. Hang in there, warrior mom! :) I'm also in the trenches, but like you, a little less so in the summer. You wrote & posted this so another mom might not feel so alone. Please know that you are also not alone. I heard a speaker who is a counselor, speak about dealing with the grief that comes from past hurts and deficits. She said it comes up like a big wave and her best advice is to just ride out the wave when it comes. It will subside and then when it comes up again, just ride it out. For some reason that simple advice was helpful. I would have lost heart unless I had believed I would see the goodness of the lord in the land of the living. Thank you again. Weeping tears of trust in a God who cares, knows, and always follows through. So good to get an update. I am so sorry for what you have been going through but so in awe of how you are dealing and coping with it. Your girls are so blessed to have you as their mother. Your faith, strength, courage, insight and wisdom will be of tremendous support. Please make sure you get the support you need as well. Thank You so much for writing this as real as you did. I have followed your story with these girls and it has inspired me in ways you cannot believe. I will not be eligible for adoption for quite some time but reading your blog helps tremendously on the ups and downs I need to be prepared for. You are an inspiration, an AMAZING mother, and a wonderful writer. Hi Ms. Kristen, i am from Philippines but now im working here in Dubai, just now i read in the Fridays Magazine of Gulf News, and I'm so touch and happy about the story, i thank God that he give you to this Little Girls that need a loving mother and being an instrument, everythings happen for a reason Ms. Kristen, i love kids too so much and because of you, i love kids more so much, thank you and thank you.